Your inner history buff will appreciate Seurasaari Island and Open-Air Museum and Pyhan Katarinan kirkko. Do your shopping at Hakaniemi Market and Okra. Explore the numerous day-trip ideas around Helsinki: Sipoonkorven Kansallispuisto (in Vantaa), Raseborg (Ekenas Archipelago National Park & Hagen - Ramsholmen - Hogholmen) and Nuuksio National Park (in Espoo). There's more to do: admire the masterpieces at Kansallisgalleria and identify plant and animal life at Laajalahti Nature Reserve. Brussels, Belgium to Helsinki is an approximately 5.5-hour flight. You can also do a combination of train and flight; or drive. Due to the time zone difference, you'll lose 1 hour traveling from Brussels to Helsinki. Expect little chillier evenings in Helsinki when traveling from Brussels in September, with lows around 8°C. Wrap up your sightseeing on the 8th (Sun) early enough to travel to Muonio. Muonio is a municipality of Finland.The town is located in far northern Finland above the Arctic Circle on the country's western border, within the area of the former Lappi province. Start off your visit on the 9th (Mon): see the interesting displays at Muonion Kotiseutumuseo, contemplate the waterfront views at Pakasaivo, and then take in the architecture and atmosphere at Enontekio Church. On the next day, take in the dramatic natural features at Keimiotunturi Fell and then glide through natural beauty at Torassieppi Reindeer Farm & Cottages. To see more things to do, other places to visit, ratings, and tourist information, refer to the Muonio online journey maker . You can drive from Helsinki to Muonio in 11.5 hours. Plan for little chillier temperatures traveling from Helsinki in September, with highs in Muonio at 12°C and lows at 4°C. Cap off your sightseeing on the 10th (Tue) early enough to go by car to Akaslompolo. On the 11th (Wed), meet the residents at Konijanka Petting Zoo and then get outside with Seven Fells Up. On your second day here, head outdoors with Scandinavian Adventures, look for gifts at Akaslompolo Sportshop, and then see exotic creatures in open habitats at a safari tour. For reviews, where to stay, photos, and tourist information, go to the Akaslompolo trip app . You can drive from Muonio to Akaslompolo in an hour. In September, daily temperatures in Akaslompolo can reach 13°C, while at night they dip to 5°C. Wrap up your sightseeing on the 12th (Thu) to allow time to drive to Inari. Get outdoors at Nature & Wildlife Tours and Lemmenjoki National Park. You'll discover tucked-away gems like Saint Tryphon Pechenga Orthodox Church and Otsamo Fell. For photos, where to stay, traveler tips, and other tourist information, read Inari online travel route builder . You can drive from Akaslompolo to Inari in 4 hours. Alternatively, you can take a bus; or take a bus. Expect a daytime high around 13°C in September, and nighttime lows around 4°C. Finish up your sightseeing early on the 15th (Sun) so you can go by car to Saariselka. 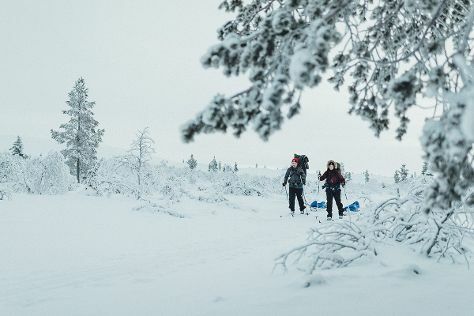 On the 16th (Mon), you'll have a packed day of sightseeing: explore the wealth of natural beauty at Urho Kekkonen National Park and then hike along Ruijanpolku Trail. To find photos, more things to do, where to stay, and other tourist information, refer to the Saariselka trip planning app . Getting from Inari to Saariselka by car takes about an hour. Other options: take a bus. In September, plan for daily highs up to 13°C, and evening lows to 4°C. You'll set off for Kittila on the 18th (Wed). Kittilä is a municipality of Finland and a popular holiday resort.It is located in northern Finland north of the Arctic Circle within the Lapland region. 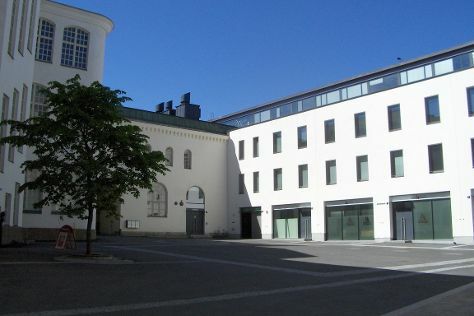 Kick off your visit on the 18th (Wed): examine the collection at The Sarestoniemi Museum. Get ready for a full day of sightseeing on the next day: make a trip to Snow Village, don't miss a visit to Giewont Husky Adventures, then take a memorable tour with Tours, and finally admire the masterpieces at Museum of Fine Arts Einari Junttila. For more things to do, where to stay, maps, and other tourist information, use the Kittila online visit planner . Traveling by car from Saariselka to Kittila takes 3 hours. Alternatively, you can take a bus; or take a bus. In September in Kittila, expect temperatures between 13°C during the day and 5°C at night. Wrap up your sightseeing on the 20th (Fri) early enough to travel to Turku. 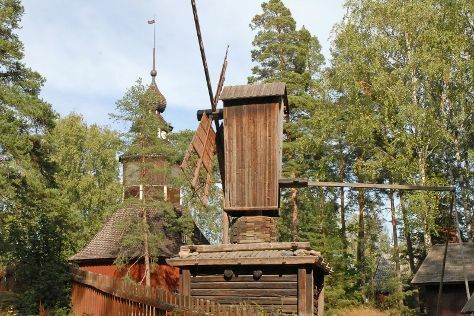 Louhisaari Manor and Kylamaki Village of Living History are good opportunities to explore the local culture. Do your shopping at Kauppakeskus Mylly and Gallery A. Explore the numerous day-trip ideas around Turku: Tulliniemi Nature Path (in Hanko) and Nagu Church (in Nagu). The adventure continues: trek along The Archipelago Trail, let little ones run wild at Adventure Park, and admire the natural beauty at Kultaranta Garden. For maps, ratings, and more tourist information, read Turku trip itinerary maker website . Traveling by flight from Kittila to Turku takes 5 hours. Alternatively, you can do a combination of flight and train; or drive. When traveling from Kittila in September, plan for somewhat warmer days in Turku, with highs around 18°C, while nights are about the same with lows around 7°C. Cap off your sightseeing on the 23rd (Mon) early enough to go by car to Rauma. Rauma is a town and municipality of ca. Start off your visit on the 23rd (Mon): head outdoors with Kuuskajaskari, visit a coastal fixture at Kylmapihlaja Lighthouse Island, then take an in-depth tour of The Old Town Hall Museum, and finally look for gifts at Ruokapuoti Lumo. Plan my Rauma trip by asking Inpirock to come up with tips and suggestions. Getting from Turku to Rauma by car takes about 1.5 hours. Other options: take a bus. In September, plan for daily highs up to 17°C, and evening lows to 8°C. Finish up your sightseeing early on the 24th (Tue) so you can travel to Kouvola. Kouvola is a town and municipality in southeastern Finland. On the 24th (Tue), contemplate in the serene atmosphere at St. John's Church, take a stroll through Linden Esplanade, then get to know the fascinating history of St. Nicholas Orthodox Church, then pause for some serene contemplation at Pyhtaa Church of Saint Henry, and finally identify plant and animal life at Arboretum Mustila. Here are some ideas for day two: hike along Santalahti Nature Trail, look for all kinds of wild species at Riverside Park, then admire the landmark architecture of Main Building of Military School, and finally contemplate the long history of Saint Peter and Saint Paul Cathedral. For other places to visit, more things to do, photos, and other tourist information, read Kouvola journey maker app . Getting from Rauma to Kouvola by car takes about 4.5 hours. September in Kouvola sees daily highs of 17°C and lows of 9°C at night. 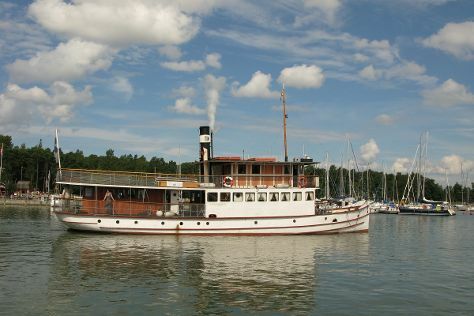 Wrap up your sightseeing on the 26th (Thu) to allow time to travel to Mariehamn. Mariehamn is the capital of Åland, an autonomous territory under Finnish sovereignty. Kick off your visit on the 26th (Thu): test your team's savvy at popular escape rooms, head off the coast to Kobba Klintar, stroll through Lilla holmen, then contemplate the long history of The Maritime Quarter, and finally explore the historical opulence of Jan Karlsgården Outdoor museum Jan Karlsgården. To see reviews, traveler tips, and tourist information, go to the Mariehamn online travel planner . Traveling by combination of train and flight from Kouvola to Mariehamn takes 4 hours. Alternatively, you can do a combination of car and ferry; or do a combination of train and ferry. In September, plan for daily highs up to 18°C, and evening lows to 9°C. Wrap up your sightseeing on the 27th (Fri) to allow time to travel to Tampere. Start off your visit on the 27th (Fri): see the interesting displays at The Finnish Labour Museum Werstas, examine the collection at Tampere City Library, Metso, then see the interesting displays at National Police Museum, and finally examine the collection at The Car Museum of Vehoniemi (Vehoniemen automuseo). Get ready for a full day of sightseeing on the 28th (Sat): take in the architecture and atmosphere at Finlayson Church, then look for gifts at Tallipihan Suklaapuoti, and then kick back and relax at Rauhaniemi Beach. For more things to do, reviews, other places to visit, and tourist information, read our Tampere trip planner. You can do a combination of flight and train from Mariehamn to Tampere in 4 hours. Other options are to do a combination of flight and bus; or fly. In September, plan for daily highs up to 17°C, and evening lows to 7°C. 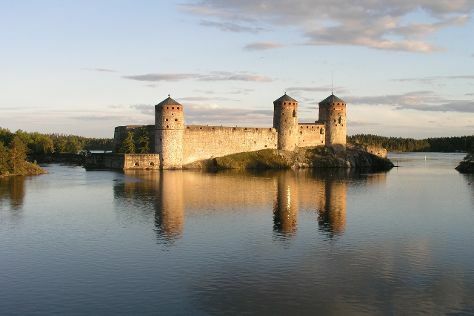 Finish up your sightseeing early on the 28th (Sat) so you can go by car to Savonlinna. On the 29th (Sun), look for gifts at Taito Shop Savonlinna, make a trip to Pikkukirkko, see the interesting displays at Savonlinna Provincial Museum, then step into the grandiose world of Olavinlinna Castle, and finally see the interesting displays at Lusto - The Finnish Forest Museum. For traveler tips, reviews, other places to visit, and other tourist information, read our Savonlinna road trip app . You can drive from Tampere to Savonlinna in 5 hours. Other options are to do a combination of train and flight; or do a combination of train and bus. Expect a daytime high around 16°C in September, and nighttime lows around 7°C. Finish your sightseeing early on the 30th (Mon) so you can travel back home.